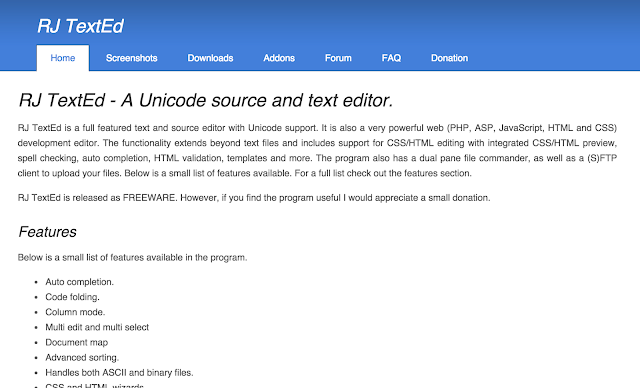 Looking for a text editor where you can quickly edit a source code? We have the best source code editors list on this article. Professional code editors like TextMate, Dreamweaver and Coda have made simpler platforms rather obsolete. However, that doesn’t mean we should ignore Notepad++, KompoZer, TextWrangler and other ‘plainer’ code editors, since they might meet our exact preferences without the need for expensive upgrades. For longer text writing and editing you may prefer to checkout our list of distraction free editors and even more useful writing tools. 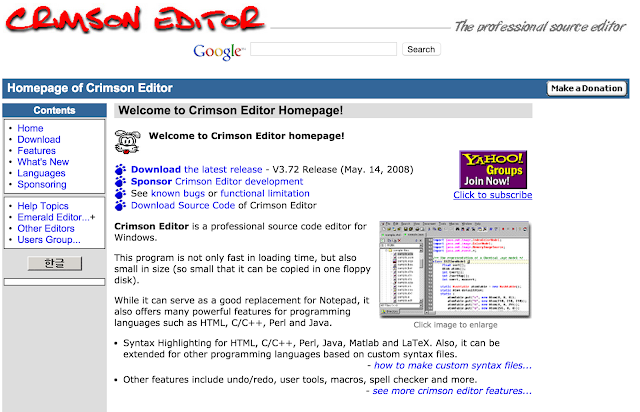 In the continuation, you’ll find reviews of easy-to-use source code editors that are simple, but effective. 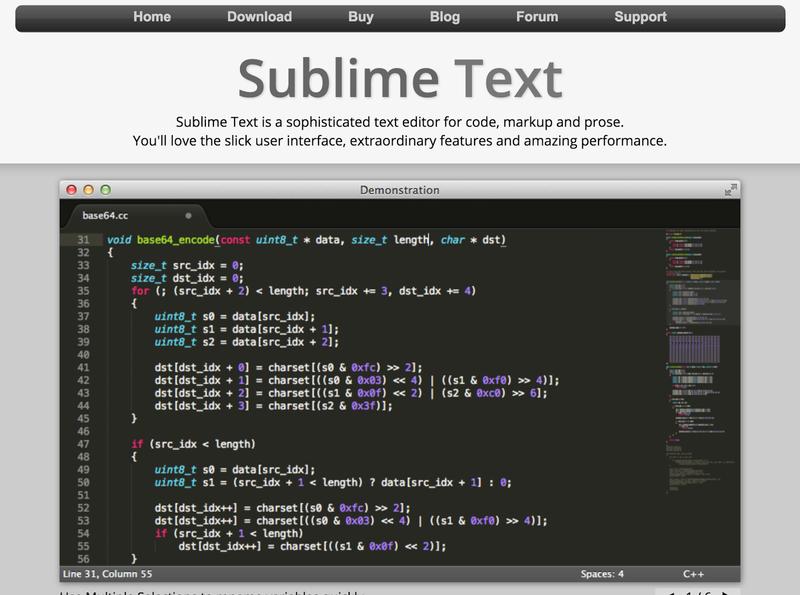 This is possibly the most popular free source code editor. It was released as a replacement for the well-known Notepad; it’s written in C++, and it enables higher execution speed thanks to Win32 API and STL. Although the size of the program is small, it includes plenty of features, such as plugin support, drag and drop, tabbed editing, split-screen editing, spell checker, file comparison, and more. Notepad++ offers syntax highlighting and syntax folding support for 48 programming, markup, and scripting languages. Although it’s mainly intended for Windows users, it also works in MAc OS X, BSD, Unix, and Linux. Lack of support for large files. Sublime Text is available on all major platforms. Its a easy to install and use editor. This is a extremely keyboard friendly editor. Language specific features are not rich. Pro features are not free. Mozilla offers this free Web Authoring System that blends great WYSIWYG features for page editing with web file management. The program is free to use for Mac OS X, Windows and Linux. Although it’s aimed towards users without a great foundation of technical knowledge, its features are comparable to the ones of high-end programs like Adobe DreamWeaver and Microsoft FrontPage. The interface will remind you to DreamWeaver. 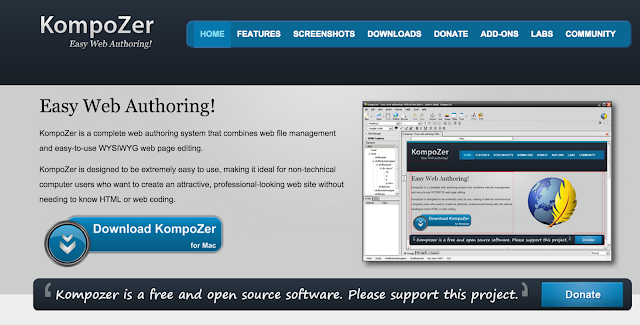 KompoZer supports tables and templates, tabbed editing, integrated file management via FTP, and 21 languages. If you are a Windows user, you should give RJ TextEd a chance. 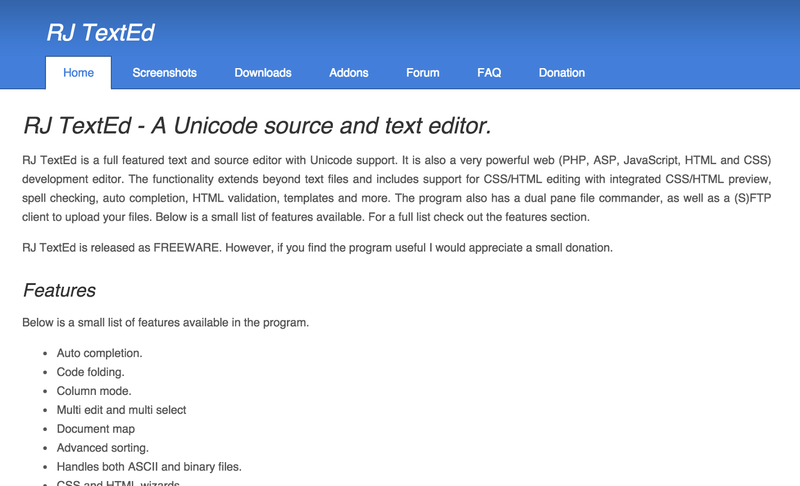 This full-featured text and source editor supports 20 programming languages, and you can use it one of the 18 languages offered. It is released as freeware, but the creators appreciate small donations from its users. It supports a portable and PC version, so you can use it on different devices. The editor allows you to create projects and macros, and you can customize the work environment to your preference. Lack of WebDav or HTTP support for remote editing. This is a general-purpose text editor for Windows users. It’s available in 10 different languages. You can use it for free when you’re building non-commercial products. If you making profits from the work, then you’ll need to upgrade to EditPad Pro – a more powerful and convenient text editor that costs 39.95 euro. 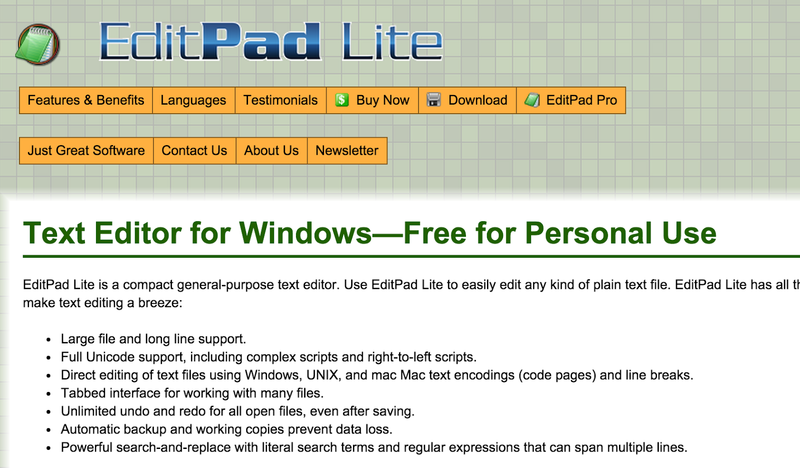 The features of the Lite version are basic, but it does enable tabbed editing and auto indenting. Plus, you can adjust it to suit your eyesight and taste. If we are making a comparison, then EditPad Lite is close to Notepad, at least when we don’t take the formatting toolbar and tabs into consideration. Does not support auto completion, code folding, text folding, and syntax highlighting. Lack of support for collaborative editing. No spell checker in the free version. This is another source code editor for Windows users. The program is rather fast in its loading time, and it’s also very light. It can serve as a nice replacement for Notepad, since it supports programming in over 60 languages. Some of the featured languages are MySQL, C/C++, LotusScript, Ruby, Maple, JScript and Perl. It’s currently available in English. 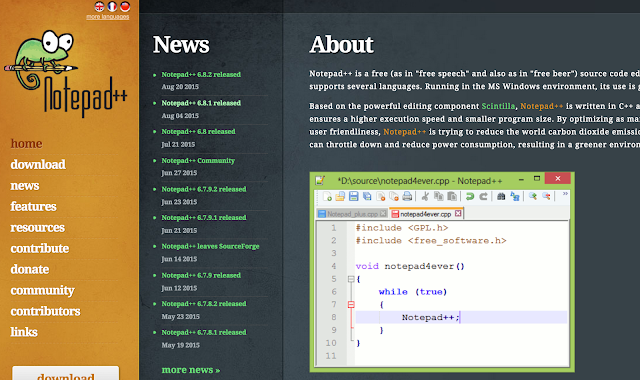 The tabbed editing and toolbar are similar to Notepad++. You can edit multiple documents and switch between them via file selection tab. The keyboard shortcuts will make your work more productive. If you are familiar to BBEdit, then you’ll recognize TextWrangler as its lighter, more accessible version. Although it does not support the extensive professional feature of its “big brother” TextWrangler i still a very capable program for Mac users. It’s only available in English. Although the interface seems too plain and basic, it still offers great features, such as syntax coloring and function navigation for 40+ programming languages, as well as a Document Drawer. If you still haven’t tried BBEdit, then it would be best to start with the simpler TextWrangler before you decide to upgrade. Does not support WebDav or HTTP for remote file editing. You will have access to multiple extensions, so use that opportunity to be flexible with code editing. If you want better features, you’ll have to upgrade to Komodo IDE, which costs $99, $295, or $1615, depending on the version you choose. ATPad is a functional replacement for Notepad. It is written in pure C and Windows API, with the main intention to stick to simplicity. English is not the only language it supports; you can also choose from 12 other languages. 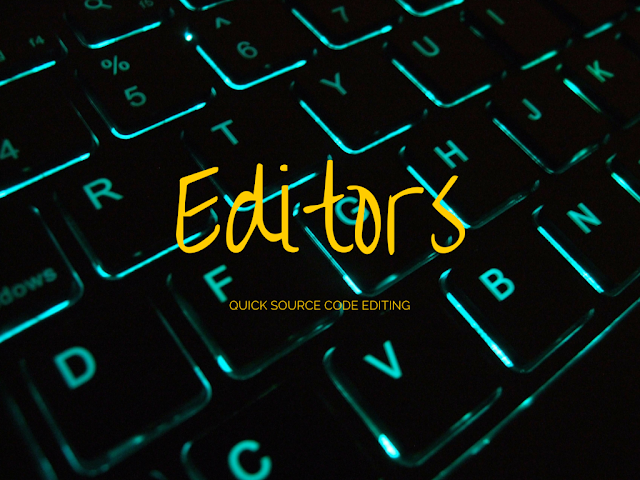 The source code editor supports customization, tabbed editing, word wrapping, bookmarking, and other features that are great for a free alternative. The latest update was released in December 2010, but that doesn’t mean you cannot test ATPad for some of your projects. The platform does not require installation, so you can start using it without any procedures. If you want to remove it, you’ll simply need to delete the directory and no traces will be left behind. This is a text editor for mature programmers, since it’s a bit more complicated to use when compared to the other options on this list. It functions with Windows, Linux, Mac OS X, OS/2, VMS, and Unix, and it’s entirely written in Java. Although it supports plenty of macros and plugins, it’s absolutely free when you use it under the terms and conditions of the provider. jEdit supports a great number of character encodings, including the much-needed Unicode and UTF8. The supported programming languages include: LOTOS, ActionScript, Python, Ruby, ColdFusion, and COBOL. You can use efficient keyboard shortcuts to make your work faster. Does not support large files. Now that you have a comparison of the features, advantages and disadvantages of 10 source code editors, you can start experimenting with the ones that caught your attention! Kelly Marone is an expert blogger and editorial writer at Papersgear. Self-dedicated freelancer with a 5-year writing experience. Perpetual traveller. Enthusiastic about life and work.